Buy the highest quality feminized Auto seeds today and enjoy free, guaranteed delivery to all parts of Europe and the USA, together with the help and advice you may need to produce your own successful crop. Extremely easy to grow, Auto seeds are the perfect choice for outdoor growers regardless of your level of experience. With little effort, or need for set hours of darkness, these completely female seeds will grow, flower and mature, producing tasty, potent buds within eight weeks from sprouting. Short, squat and dense, Auto seeds are very easy to disguise and are often planted by both commercial, and guerrilla growers to achieve the fastest harvests. Requiring no set hours of darkness, a variety of strains can be planted from early Spring, through until late Summer, generating a wide selection of flavors, aromas and highs. With many States in the USA permitting residents to grow a limited number of marijuana plants, Auto seeds provide the perfect solution. Planted outdoors at regular time intervals, they will produce fast, generous harvests over the coming months, requiring very little time, care or expense. Click below to learn more about any of our recommended feminized Auto seeds. AK 47 Auto seeds produce compact plants with good yields and high THC levels. Amnesia Haze Auto produces compact, high yielding plants with sweet spicy buds. Blueberry Auto seeds grow short, dense plants with a fruity flavor and blue hue. Bubblegum Auto seeds are easy to grow producing generous outdoor harvests. Taste: Sweet candy and bubblegum flavor. 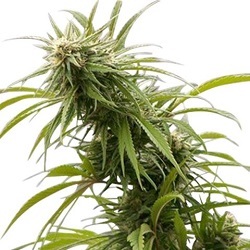 Cheese Auto seeds are easy to grow producing dense, aromatic buds. 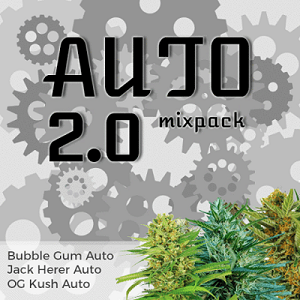 Jack Herer Auto seeds produce potent, medical-grade marijuana. 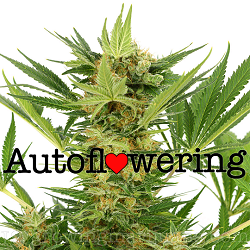 Lowryder Auto seeds are easy to grow, producing dwarf plants with a huge central cola. Northern Lights Auto seeds grow short and compact plants with broad Indica leaves. OG Kush Auto seeds are a potent Indica dominant strain. Taste: Earthy with a lemon and pine undertone. Super Skunk Auto seeds grow compact, heavy yielding plants with a strong skunk aroma. White Widow Auto seeds produce strong medium-sized plants with heavy yields and high THC levels.